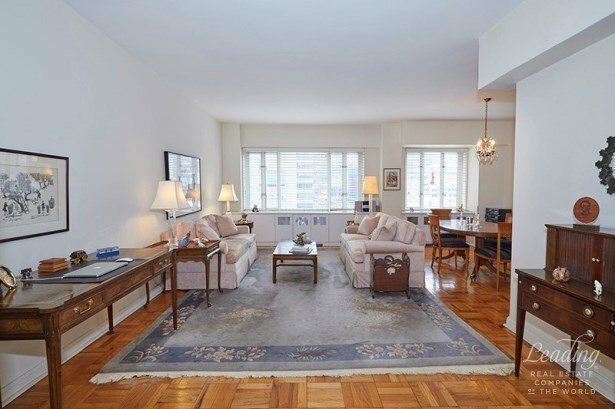 A rare opportunity to buy a beautiful apartment in a full-service luxury building on East 63rd Street. Located on the 11th floor of the Beekman Townhouse Condominium, this large one-bedroom, one-bath residence of 960 square feet is in mint condition. The apartment faces south with wonderful sunlight filtering through wall to wall windows. The open city views are especially enchanting during sunset. The apartment has an ideal layout with beautifully proportioned rooms that are perfect for living and entertaining. It features a very large entrance foyer, separate dining area that can be made into a second bedroom, updated kitchen and bathroom, hardwood floors, high ceilings and many closets. There is ample space for a washer/dryer.The Beekman Townhouse was designed by the famous architect, Emery Roth and has a full staff including a resident manager, doorman, hallman, and service elevator operator. There is also a garage and pets are permitted with board approval.This residence is centrally located and convenient for shopping at Bloomingdale's, Fifth and Madison Avenue stores and many fine restaurants..